JPMorgan, the nation's largest bank by assets, said Tuesday it is replacing 2 million credit and debit cards after a massive breach at Target. As many as 110 million Target (TGT) customers were impacted by the hack, including 40 million customers who used credit and debit cards over 19 days at the peak of the holiday shopping season. Luxury retailer Neiman Marcus said it, too, was breached, and experts say they wouldn't be surprised if other companies were also hit. 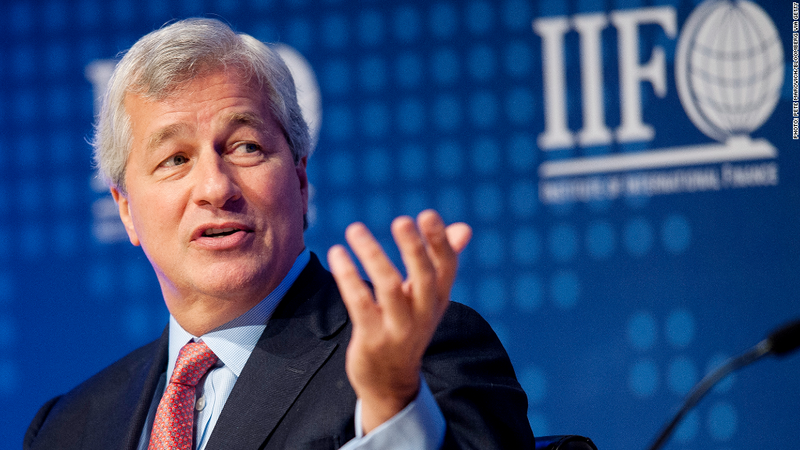 JPMorgan Chase (JPM) CEO Jamie Dimon, in a call with financial analysts after the company posted its fourth-quarter profit, disclosed the card replacement. He called cybersecurity "a big deal," and said banks, retailers and transaction processors "really have to put an extreme effort into protecting" their operations. But the hack hasn't stopped customers from using credit and debit cards, he said. Consumer spending via plastic is down "just a little bit relating to Target, but not in general," Dimon said. Have you been affected by the Target or Neiman Marcus data breaches? We want to hear your story. E-mail Gregory Wallace at gregory.wallace@cnn.com.